CHECK OUT THIS NEW BIKE FOR 2015!! 847cc liquid-cooled, in-line 3-cylinder, DOHC, 12-valve engine with fuel injection. This engine combines advanced high tech components including YCC-T and Yamaha D-Mode, with a crossplane crankshaft concept to deliver an exciting, torquey and quick-revving engine character. 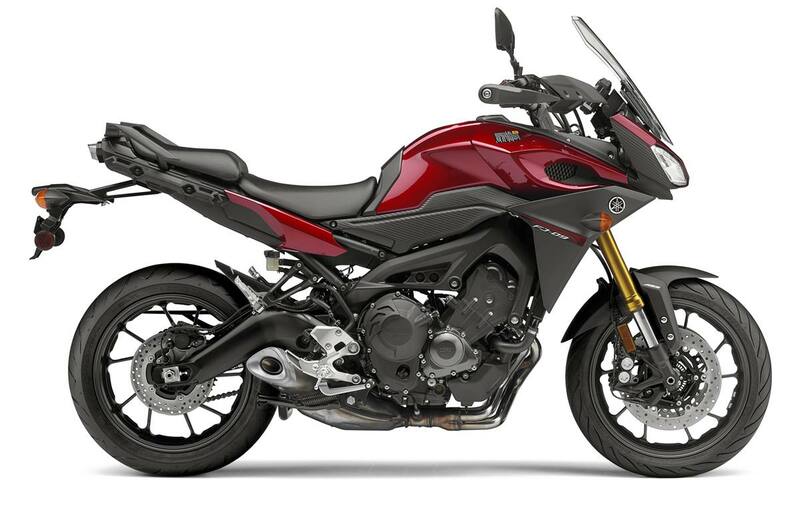 This 3-cylinder engine features Yamaha’s “Crossplane Crankshaft Concept” that provides linear torque development in response to the rider’s throttle input. 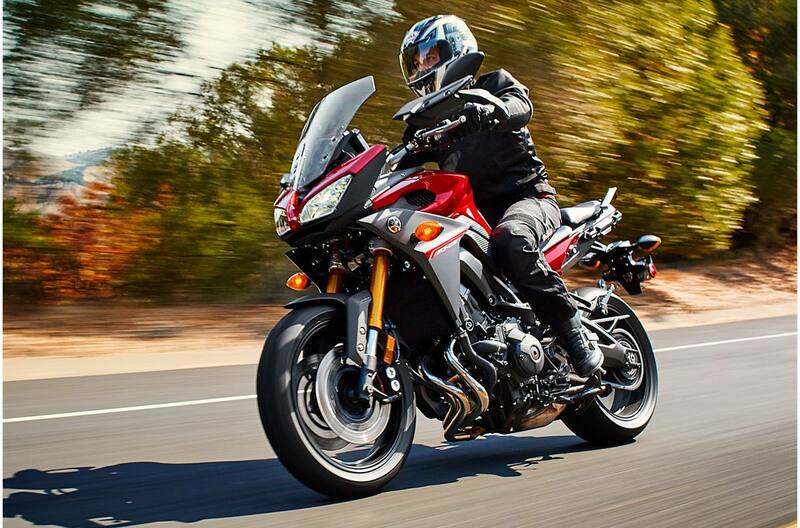 The ride-by-wire Yamaha Chip Controlled Throttle (YCC-T) system senses the slightest throttle input by the rider, relays the data to the ECU which sends commands to a servo-motor actuator controlling the intake airflow volume. 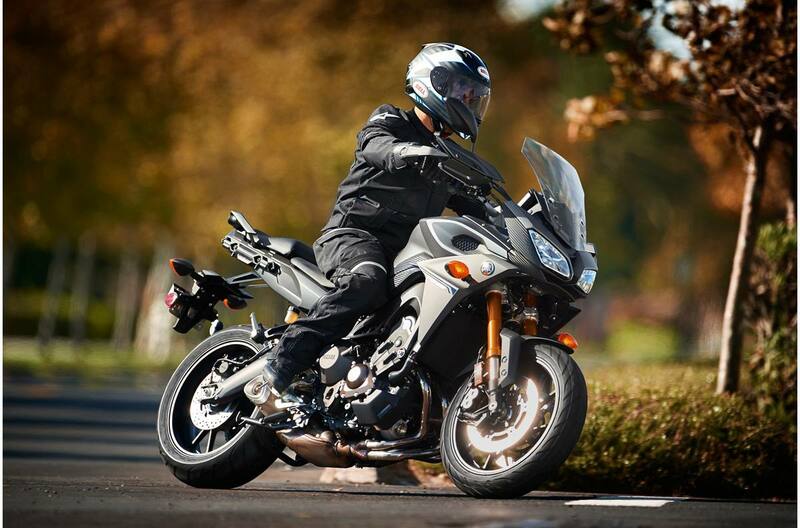 The FJ-09 is equipped with Yamaha D-MODE (or “Drive Mode”) variable throttle control system. The rider can choose at will from three throttle valve control maps (Standard Mode, “A” Mode, and “B” Mode) for different performance characteristics. Traction Control System (TCS) helps ensure smooth starts even on wet road surfaces or unpaved roads. The system detects rear wheel spin and reacts though combined control of the ignition timing, fuel injection volume and throttle opening (YCC-T). Large 4.8 gallon fuel tank with 44 miles per gallon* means less-frequent stops for fuel when on the open road. Lightweight Controlled-Fill die cast aluminum swingarm is used to reduce weight. The windscreen of the front cowl can be height-adjusted to three positions at 15mm increments without the use of tools. The aluminum tapered handlebars are adjustable up to 10mm to accommodate different rider physiques and preferences. Multi-function instrument panel features speedometer, tachometer, fuel, clock, gear indicator, eco indicator, D-MODE and TCS indicators. The main seat section can be adjusted to two height positions without using tools. The 2 positions are at 15mm increments. A center stand is standard on the FJ-09 for added rider convenience when parking or doing maintenance. A 12V electric outlet (on the side of the instrument panel) is standard as an additional convenience. 847cc liquid-cooled, in-line 3-cylinder, DOHC, 12-valve “Crossplane Crankshaft Concept” engine derived from the award winning and media favorite FZ-09. This engine combines advanced high tech components including YCC-T® and Yamaha D-Mode, with a crossplane concept crankshaft to deliver an exciting, torquey and quick-revving engine character. Equipped with Traction Control System (TCS), ensures smooth starts even on wet road surfaces and unpaved roads. The system can be turned on and off by the rider. 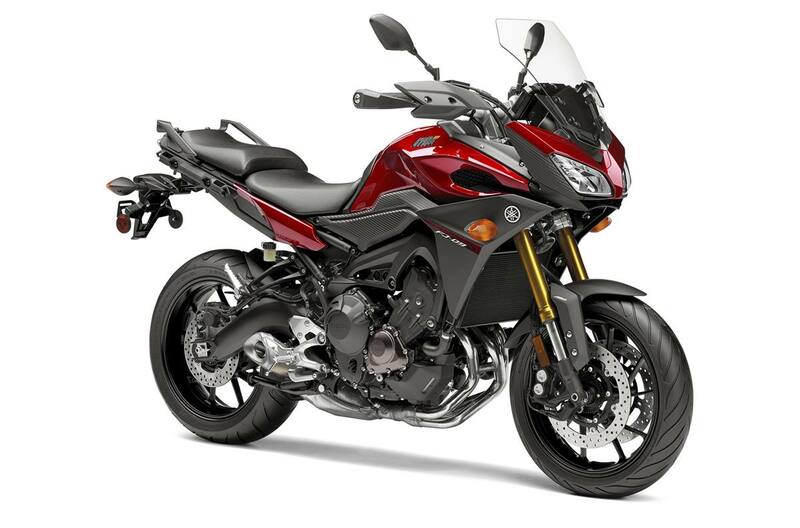 YCC-T is Yamaha’s exclusive ride-by-wire throttle control system derived from MotoGP® technology. YCC-T works in unison with the Traction Control System and gives the rider quick throttle response. Touring amenities include a height adjustable windshield, side faring, adjustable riding position, 12V electrical outlet and a generous 4.8 gallon fuel tank. The FJ-09 is ideal for the daily commute, short fun rides, or weekend getaways. Anti-lock brakes work to help prevent wheel lock during braking. Multi-function dot matrix LCD instrument panel is designed to visually relay FJ-09 data to the rider quickly and clearly. A modern and stylish LED headlight offers superior visibility and complements the FJ-09’s design. 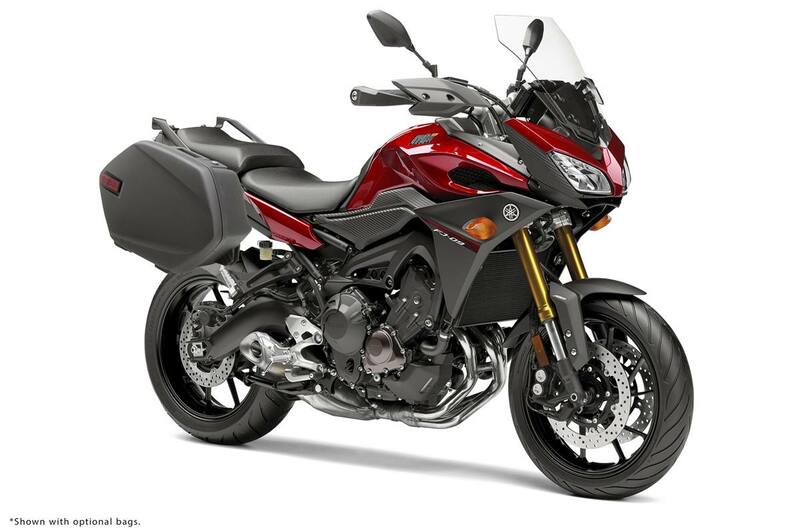 Standard, clean-looking saddle bag mounts enable the addition of Genuine Yamaha Accessories slim-design hard bags. Accessory top case is available for storage convenience and touring enjoyment.